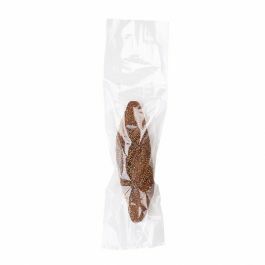 Our FP1H717 bags are an affordable solution for packaging grains, oats, rice, lentils, birdseed, and other bulk products. These Polypropylene Flat Bags measure 7" x 17" and are crafted with side seams and double-sealed bottoms for super strength. Bags can be heat sealed or closed with twist ties or twine. Polypropylene Flat Bags provide easy, simple packaging for bulk products. Our FP1H717 measures 7" x 17" and are ideal for packing grains, rice, lentils, bird/fish feed, and more. 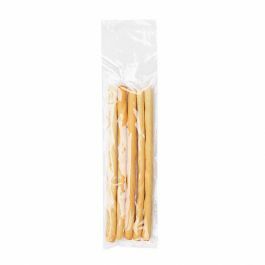 Bags are open-ended for easy filling of your product. 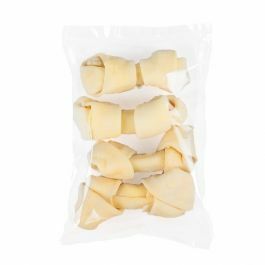 Made with 1.5 mil polypropylene material, these bags offer high clarity and are stronger than traditional poly bags. 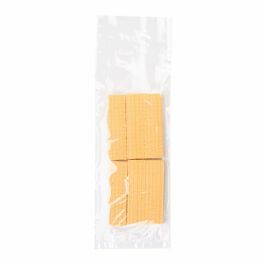 They have a crimped, double-sealed bottom to ensure your product won't fall out of the bag. Side seams prevent the bags from ripping or tearing. Bags are packaged in an outer bag for convenient storage. Food safe. Outer Dimensions: 7" x 17 1/4"
Inner Dimensions: 7" x 17"